I can just imagine some people that I know thinking ‘what do you mean pros and cons isn’t all just about the free stuff that you get all the time?’ As much as I wish this was the reality unfortunately it isn’t. The first and the most important thing to know before starting a blog is that it’s very time consuming. I think that to anyone who doesn’t blog it would seem that all you have to do is take some photos and then write about the photos. Perhaps this was the case 10 years ago, but nowadays blogging is very popular and very competitive. You need to think about SEO (search engine optimisation) to ensure that your blog is visible on google and can be found, then you need to start living and breathing social media if you want to have a chance of building a readership. I’ll use Sunnydei as an example. 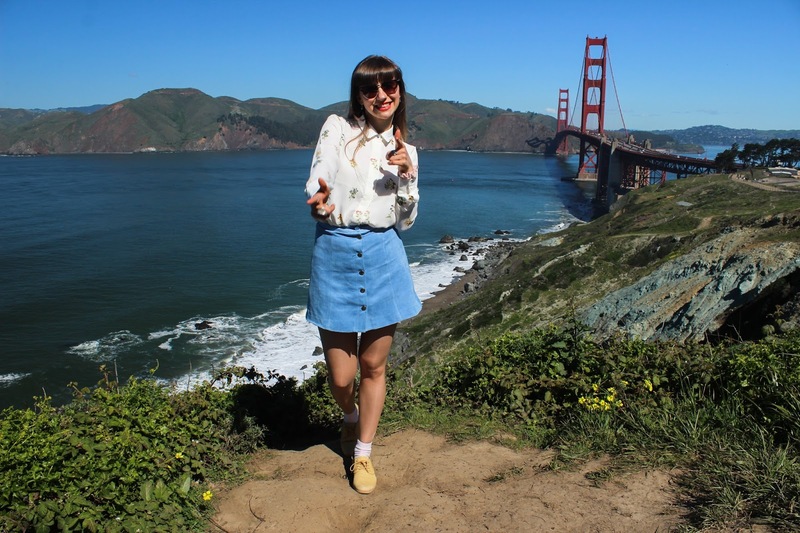 My blog is primarily a Lifestyle, Travel and Food blog with a little bit of Fashion thrown in there for good measure. It’s also a blog that relies very heavy on photography, this means that for every single post I create I have to carefully plan what I’ll be doing and where, then I have to actually do the thing that I’ll be writing about whether it’s have a meal out, travel somewhere, create a recipe or a fashion post and then I have to photograph it. That’s the fun part really, after that the real work kicks in. I edit the photos, and once they are exported I optimise file sizes to make them more SEO friendly, once that’s done I rename the photos with relevant keywords. Once I upload the chosen photos to my blog I then add descriptions and alt tags to each one as this once again helps to make the post more google friendly. Then I start actually writing the post. Once the post is written I will then share it on twitter, facebook and instagram and sometimes when I find the time also on pinterest. I would say that I spend at least 5 hours (usually more) on creating most of my posts. Now you might be thinking well if it’s so much hard work why do you bother? And this is really what it all comes down to, I love it. I started my blog because I wanted an outlet for creativity to share my photography and to avoid feeling deflated over the winter months. Over the last two years it has grown and flourished into something so much more than that. I love my little corner of the internet and all of the amazing people and opportunities that it’s brought into my life. However, unless you feel really really passionate about it, you probably won’t stick to it. 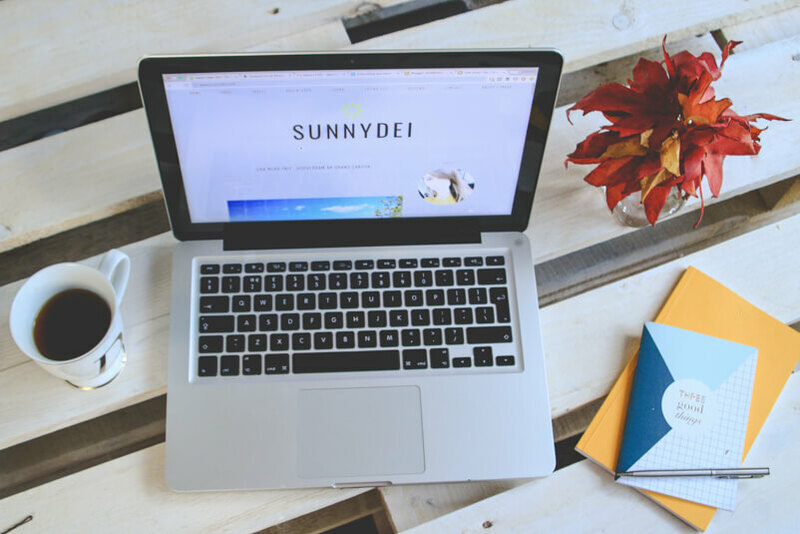 I have personally started and dropped 4 blogs before Sunnydei and the reason for that is because growing your blog and readership is not a quick process, it takes a lot of time and commitment, especially at the start. People have asked me if I make money blogging and the short answer is no, I do not. I’ve been paid for a couple of things but when you take into the consideration the time I spend on my posts it’s pretty much pennies. If you think that you can start a blog and then start raking in the cash overnight then I have some bad news for you, it probably won’t happen. Of course you might get financial opportunities once you built up your readership and followers. Now after reading all of this do you still want to start a blog? If the answer is yes, then go grab yourself a cup of tea and keep reading my top recommendations of everything I believe you should know and think about before starting a blog. Now this isn’t a necessary stage but hey your ideas deserve to be noted down on gorgeous note books right?! This is probably one of the most important tips that I can give. Perhaps if I did this for my other four failed blogs they wouldn’t be laying in virtual cemeteries (RIP). Honestly though I can’t stress enough how important it is to really think about what you want your blog to be. What are your passions? What is it that you really want to write about? Will you focus on just one thing or have lots of different categories? Whether you want to create a blog about the most fashionable handbags, the best coffee spots in your city or simply somewhere to share your adventures really think about it. Jot down ideas for your first five posts. See what other blogs are out there, focus on similar niches to what you have in mind and see what you like and don’t like about them. Honestly the more blogs you read at the start the easier it will be to visualise about what you do and don’t want your blog to be. 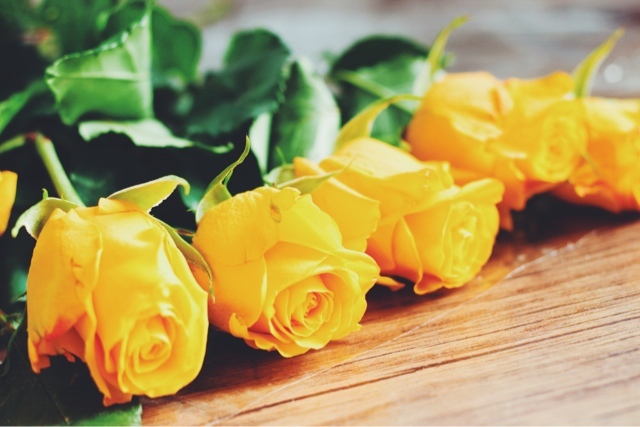 There are some amazing bloggers out there and they can be a great source of inspiration. This is a pretty crucial step for blogging and it’s a great way to connect and engage with other bloggers. My two ultimate favourites are Twitter and Instagram. Not only have I found all of my favourite blogs through twitter, I’ve made online friends ( many of whom are now real life friends too). This is will also be a great outlet for you to share your posts and build engagement once your blog is live. Interact as much as possible, the blogging community is really friendly and welcoming, so don’t be shy and if you see a post or a blog that you like, tell them! The two most common platforms used for blogging are google's own free platform called blogger or wordpress. I have previously used both and I’m currently on blogger. If you’re an html whizz kid then wordpress is probably the way to go as it has the option to build and add to your site as you please but if you’re not then I would personally recommend blogger, I find it’s much simpler to use with less bugs. Don’t take my word for it though, do your research. Both blogger and wordpress offer some free themes for your blog although most of them aren’t that great and can be a little limiting although can be a good starting point. 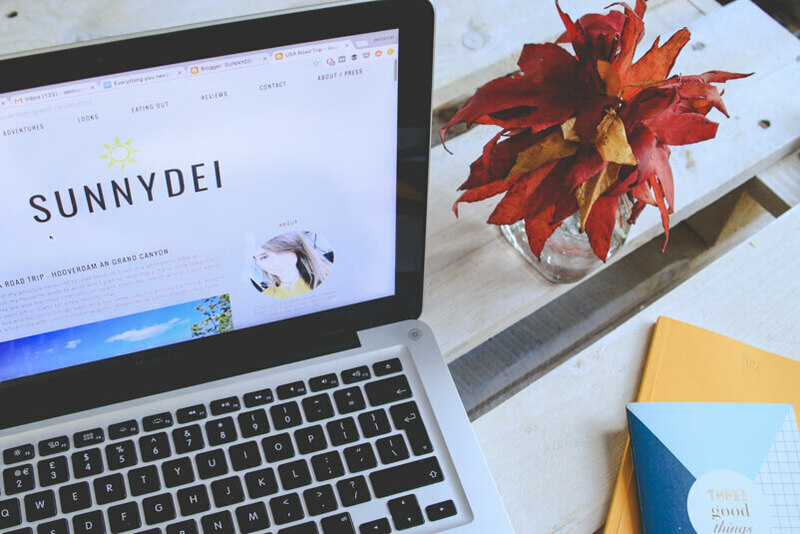 When I first started sunnydei I found a freelance web developer on twitter and got her to custom build certain elements for me. Then I bought a theme from pipdig which I love. Again do a little research beforehand as some blog names are much more common than you might think. Best place to start is probably to look through #’s on twitter such as #lbloggers #bbloggers #fbloggers and check out some blogs from there. If you’re stuck ask your friends and family for their opinion as once you come up with a blog name, you’re kind of stuck with it, so you better like it! My tip would be to make it short and catchy. Nowadays our attention spans are so short, so if your photos aren’t great the chances are that people won’t stick around on your blog for long enough to read your content. Good photos will grab your reader's attention and your writing will be what will make them stay. Invest in a camera or a really good smart phone. Decide how you want your blog to come across, will it be chatty or do you want it to be professional? The more you write the clearer your tone of voice will be. A good idea would be to get someone else to read your posts and offer some feedback prior to posting it. There’s so much to learn about blogging, I’m still learning all the time. A good place to start would be to get to grips with basic SEO and social media. I imagine it can seem a little overwhelming at first especially if digital and social media marketing aren’t your fortes but trust me it’ll be worth it and eventually it will all make sense. Do it all again and again. Please let me know if you’ve found this post useful. If you decide to start a blog, please leave me your link in the comments, I would love to check it out!